Tonight HBO debuted a brand new, full-length trailer for its brand new and high-stakes genre offering Westworld. Watch it below. Based on the 1973 film by Michael Crichton, Westworld chronicles the high-tech theme park Delos, where clients’ most debaucherous fantasies can come true — and the artificial life-forms who discover what they are and rebel against their creators. The show stars Anthony Hopkins, Ed Harris, Evan Rachel Wood, James Marsden, Thandie Newton, Jeffrey Wright, Sidse Babett Knudsen, Rodrigo Santoro, Shannon Woodward, Steven Ogg, Ingrid Bolsø Berdal, Ben Barnes, Jimmi Simpson, Clifton Collins Jr., Simon Quarterman, Angela Sarafyan, and Tessa Thompson. Jonathan Nolan and Lisa Joy are creators. Westworld premieres Sunday, October 2 (9/8c) on HBO. 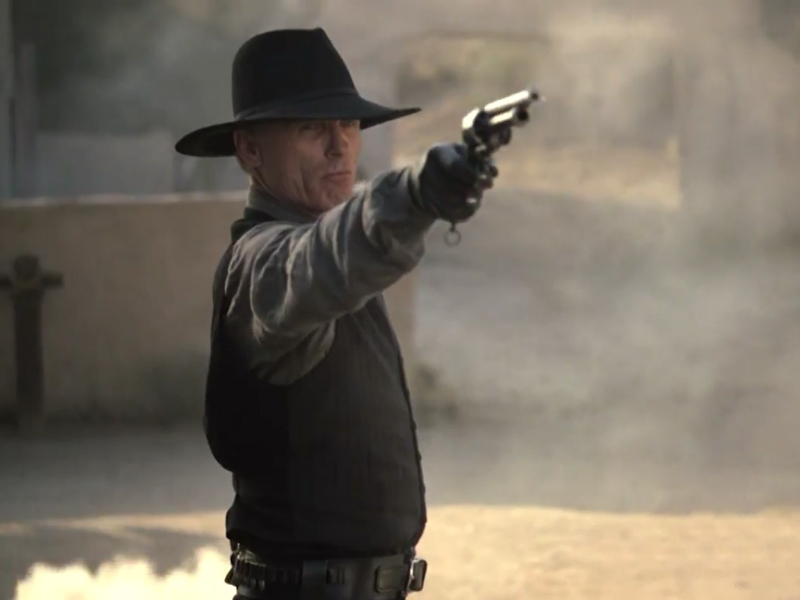 Keep up with the show this fall with SciFi Stream’s brand new Westworld show guide!